Nutritionists have often stressed the need for eating certain superfood combinations. 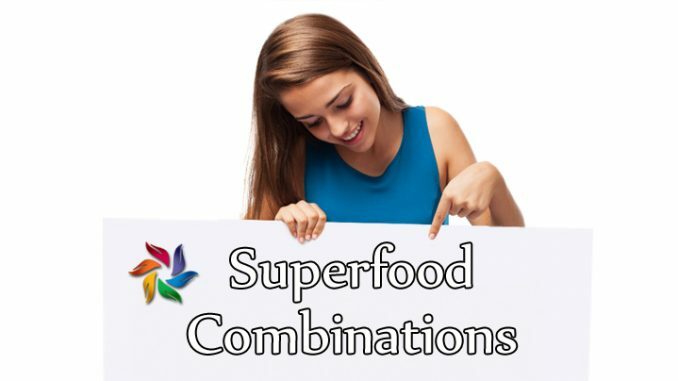 There are significant differences when it comes to the nutritional value and amount contained in these superfoods by contrast to ‘regular’ foods. This article outlines some of the best combinations that will boost your immune system and more. Sprouts and microgreens are rich sources of proteins, enzymes, vitamins, trace elements, and antioxidants; they are a type of superfoods. They provide us with substantial immune boosting health benefits more than raw fruits and vegetables. Sprouts are germinated seeds typically grown for 2-5 days (depending on the seed) in water and rinsed twice a day to counter fermentation; they are harvested and eaten whole. Broccoli, oats, chickpeas, rye, kamuti, adzuki beans, lentils, mung beans are examples of foods that can be sprouted and enjoyed. Sprouting increases the nutritional content and value of the seed, tripling vitamins A, B-complex, and C.
After sprouting, the vitamin contents of some seed have been known to increase by up to 20 times their original value. Smaller seeds have also been discovered to contain 100 times more phytonutrients than their mature counterparts, as with the case of broccoli, alfalfa, and radish. The larger seeds like Oats and Rye and the significant legumes like Lentils and Chickpeas, provide us with the necessary calories, which is the energy we need to function, in addition to the other requirements. The soaking and sprouting have been well documented to increase quality and quantity of fiber (for better digestion) and protein. Sprouting is the best way to prepare, legumes, grains, nuts, and seeds. Microgreens, on the other hand, are sprouts that are germinated for a longer period, typically between 1-2 weeks. They are usually planted in soil and grown vertically and harvested by chopping off the stem and green part. Microgreens, when grown correctly, are highly abundant in important phytochemicals (plant chemicals like tannins and saponins). They also contain many times the nutrients than their fully matured counterparts. Microgreens provide necessary nutrients for the eyes, skins, bone development, healthy digestive system and also protect against inflammation, cancer, cardiovascular diseases, overly boosting the immune system. They include micro greens, kales, parsley, watercress, radish greens, and onions. Both sprouts and microgreens are baby plants and both also pack a nutritional punch. Sprouts and microgreens can also be included in your salad. I. They are full of folic acid and B-complex vitamins, essential nutrients for pregnant women and her developing baby. II. The high levels of antioxidants promote a healthy, slow aging, and cellular repair. Elevated levels of vitamins C (Ascorbic acid), E (α-Tocopherol), an essential oil and micronutrient selenium can even reduce hypertension (high blood pressure) and maintain healthy arteries. III. Sprouted seeds contain lecithin which aids in breaking down fatty acids in the body. V. Boost our immune system. VI. All sprouts contain chlorophyll, which keeps our blood healthy, balance pH levels, reduce inflammation, repair tissues and calm the nervous system. Moreover, it is recommended to buy organic to ensure 100% freshness. 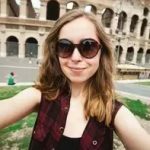 Emily is certified nutritionist, fitness trainer, and is also very experienced in the field of SEO and internet marketing. She has a passion for writing about health and fitness and has published numerous articles on a wide variety of websites and blogs.